The American Academy of Pediatric Dentists recommends your child to visit the dentist before his or her first birthday. This allows the dentist to provide the parents with important information and education about ideal oral care. The initial visits also help familiarize your child with our office and team. During the first visit, we will review your child’s medical and dental histories and address any concerns you have about your child’s teeth. If your child is ready, we will clean their teeth and apply a topical fluoride varnish. One of our dentists will count their teeth and check for any issues. We will also demonstrate effective brushing and flossing techniques for you and discuss diet and nutrition information. If your child becomes upset or wiggles during the exam, don’t worry! It’s normal, and we understand this is a new experience. We will work together so that your child has a fun and educational visit. You can also help prepare your child for their visit. Tell them in advance that someone will look at their teeth and brush them. Try showing them pictures of dentists or play “dentist,” acting like you or your child are the dentist. Concentrate on positive words whenever talking about the dentist with your child. Remember, a child takes cues from their parent. If you are concerned your child will be nervous, contact our office, and we are happy to walk you through any questions or concerns. When scheduling, keep in mind that we find children do best at morning appointments. At the least, it’s important to consider your child’s daily schedule, including regular naptimes to avoid times where they are normally tired or sleeping. 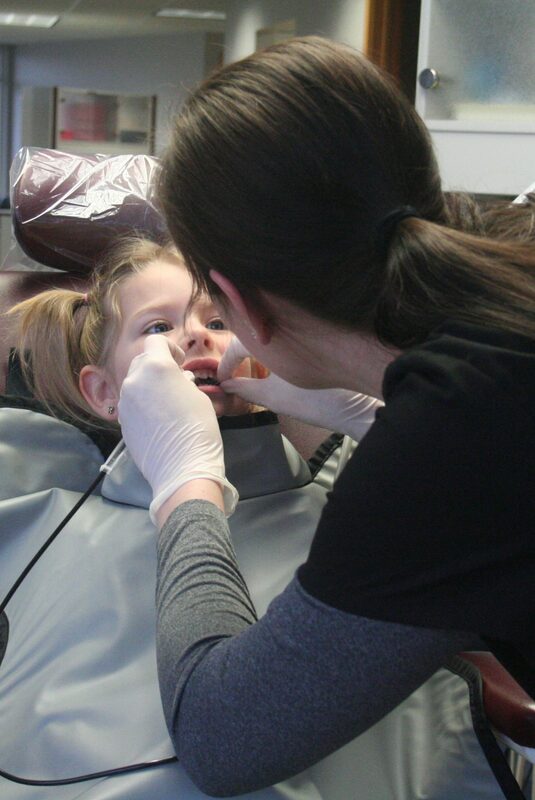 We look forward to teaching your child the importance of forming healthy dental habits that will last a lifetime. Contact our office today at 712-737-4177 or schedule here.